St George's Day is tomorrow, April 23, which this year is of course a Saturday and so good for getting out and visiting places associated with the legendary dragon-slayer. One such place is Dragon Hill in Oxfordshire. 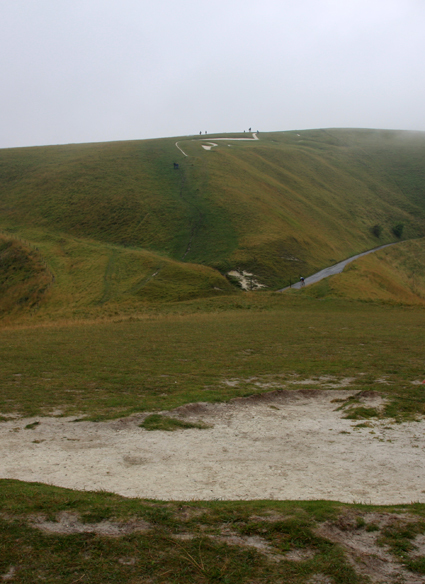 It is a small chalk hill with an artificial flat top immediately below the Uffington White Horse. Folk tales say that it was on its summit that Saint George slew the dragon. A bare patch of chalk upon which no grass will grow is purported to be where the dragon's blood spilled. 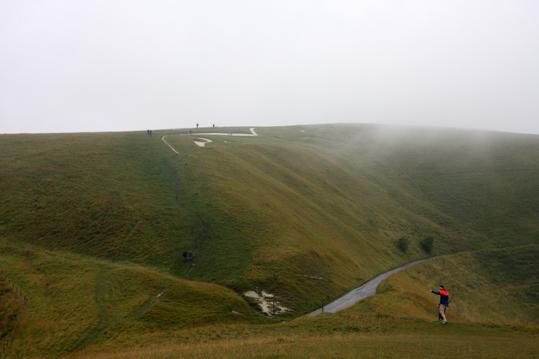 It has also been suggested that it is an Iron Age ritual site associated with the chalk horse. It is part of the White Horse group of monuments in the care of the National Trust, which include the chalk figure and Wayland's Smithy.